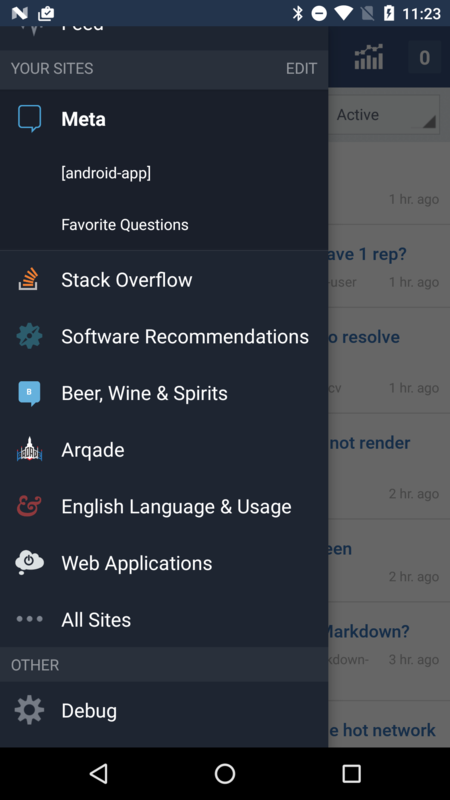 I haven't been able to find my favorite questions in the official Stack Exchange Android app. Looking at my accounts page gives nothing on them. Currently this is really difficult to do in app, it definitely needs to be done in a better way. For now, you can search infavorites:mine on a site to get your favorites, but this obviously can be done better. Not the answer you're looking for? Browse other questions tagged feature-request android-app favorites . How to follow activity on favorite questions from Android app? Where can I find my favorites mobile? How can I see all the favorites? Where are the questions I favorite? Where can I see my favourite questions? Is it possible to see my favorite posts on Android app?